Captain America: The First Avenger is a sci-fi, action-adventure, Hollywood movie that is scheduled to release in India on July 29, 2001. The movie is based on a superhero created from the extremely popular Captain America Comics (Marvel Comics) that were popular since 1941. The original comic strip character was created by Joe Simon and Jack Kirby. Captain America: The First Avenger is the story of Steve Rogers who gets rejected from being of service to his country because he is considered to be physically unfit. However he volunteers for a secret government experiment called Project Rebirth and becomes America`s super-soldier during World War II. He has a sidekick called Bucky Barnes. In the movie Hitler also has among his weapons a magical weapon called the Tesseract. Interesting stuff. 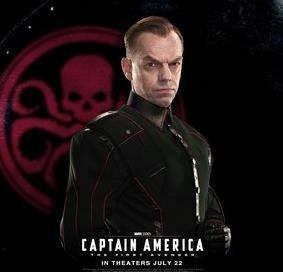 Directed by Joe Johnston the movie stars Chris Evans as Captain America, Hugo Weaving, Tommy Lee Jones, Stanley Tucci, Dominic Cooper , Richard Armitage, Hayley Atwell and Neal McDonough. Screenplay is by Christopher Markus and Stephen McFeely. Music for the movie has been composed by Alan Silvestri, cinematography is by Shelly Johnson and editing is by Jeffrey Ford. The film has been made at a budget if 140 million USD. Captain America brings a refreshing angle to the sci-fi movies we have been inundated with and combines fact and history with sci-fi and super heroism. Undoubtedly they make up more than a few reasons to watch the movie without fail. Aarakshan is yet another hard-hitting movie from the Prakash Jha stable dealing with a burning issue - reservations. It has a power packed star cast headed by Amitabh Bachchan, Saif Ali Khan, Deepika Padukone, Manoj Bajpai and Prateik Babbar. 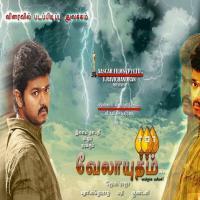 The movie is scheduled for release on August 12, 2011. Written and directed by Prakash Jha, the movie’s screenplay has been written by Anjum Rajabali. Music is by Shankar Mahadevan and Loy Mendonca. Amitabh Bachchan plays the role of an idealistic college Principal Prabhakar Anand who has, with the courage of his convictions turned the college into the best in the state. His student disciple is Deepak (Saif Ali Khan) who apart from being loyal to his Principal is also in love with his daughter Poorbi (Deepika Padukone). Prateik plays the role of Sushant, Deepka’s friend. The story deals with the issues of the youth, their future, their apprehensions and hopes and centres around the Supreme Court’s order on reservations. Aarakshan is a much awaited movie from Prakahs Jha, a director who captures India’s burning issues with stories that both entertain and educate, engage and inspire. 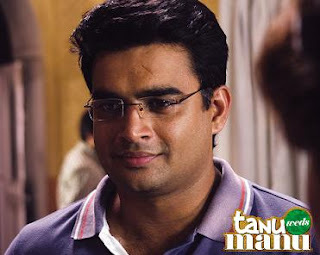 Book Aarakshan Movie Tickets Online at NoMoreQ.com. Jha is known for his balance in presenting the social issue and it will be interesting to see how this burning issue of caste based reservations has been dealt with. But despite the social angle, one thing the audience can be assured of is power-packed entertainment that depicts film making at its best. Dookudu is a cops and criminals Telugu film and more importantly a film starring one of the big superstars of Telugu cinema today, Mahesh Babu. Scheduled for release on August 12, 2011, Dookudu is directed by Srinu Vaitla and stars Mahesh Babu , Samantha , Abhimanyu Singh and Vennela Kishore. Music has been composed by Thaman and the story has been written by Gopimohan. In the movie Mahesh Babu plays a police officer who has to catch Prakash Raj, a mafia don who has escaped from him. If he and his team do not capture the mafia don in ten days they lose their jobs. The desperate police team tracks Prakash Raj to Turkey where Mahesh Babu meets and falls in love with Samantha, the daughter of Mahesh Babu’s superior officer Najar. Now this Najar is also the same guy who is involved in helping Prakash Raj escape. How the cops find the criminal and expose the corrupt cop is the story. Mahesh Babu brings his own magic to the silver screen and under the able guidance of a top-notch director like Srinu Vaitla, in the seductive locales of Turkey, the film should be a visual treat. 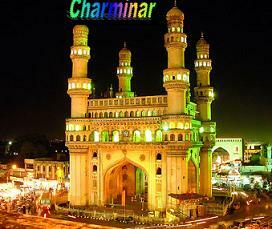 Certainly on the list of all Telugu film buffs especially since it is a Mahesh Babu film coming after a long delay. So Book Dookudu Movie Tickets Online as soon as they are available. The Smurfs is a 3D, CGI, animation movie based on the adorable small blue fictional comic characters, called the Smurfs. Created by Peyo, a Belgian cartoonist, in 1958, the Smurfs live in a village and run their own lives with all the characteristics of humans. In the movie an evil wizard Gargamel chases the Smurfs from their village. Consequently the Smurfs fall out of their secure magical world into the middle of Central Park. As all the Smurfs are only as high as three apples, they have some serious challenges as they try to survive life in New York and the devious plans of Gargamel as he tries to hunt them down and prevent them from reaching their village. 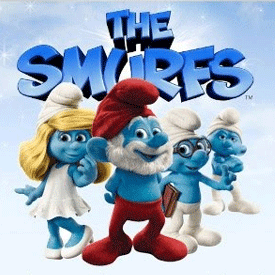 The movie, the first of a trilogy, is scheduled to release on Jul 29, 2011 and promises to be a fun filled, fantasy with all these lovely Smurf characters. The movie is directed by Raja Gosnell and the screenplay was written by J. David Stem. The movie stars Neill Patrick Harris, Jayma Mays, Sofia Vergara and Hank Azaria. Music has been composed by heitor Pereira and Cinematography is by Phil Meheux. Editing is by Sabrina Plisco. The Smurfs are completely adorable characters and it would be interesting to see what they do when stuck in a world outside their own, in New York. It holds delicious promise and surely should be great fare for children and adults alike. One of the conveniences that bus travellers have at their finger tips is that of online booking of tickets. This is a far cry from the days of the past when booking tickets was a highly uncertain, time consuming and troublesome process. Today with the advent of online ticketing, there are many websites that offer bus ticket booking. However not many online bus ticketing services offer the convenience of booking tickets both ways in advance – i.e. to and return. This could cause some uncertainty in making travel plans for travelers who have fixed travel plans. http://buses.nomorequeue.com is a website that addresses this need. A unique service that nomorequeue.com provides is that one can book both onward and return journey at the same time, either on the same travel, or different travels. This gives a lot of flexibility to the traveler while buying bus tickets online. To know more about this convenience please visit the web site. 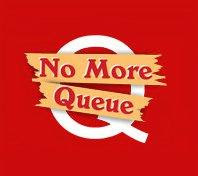 So the next time you have some travel plans, click on buses.nomorequeue.com and enjoy the convenience of online bus ticketing. Transformers 3 is going to be the last in the series. Don't miss it! Coming from the successful Transformer series is Transformers 3: Dark of the Moon’. Directed by Michael Bay and produced by Steven Spielberg, it follows two successful movies, Transformers and Transformers:Revenge of the Fallen. The movie stars Shia Le beouf, Josh Duhamel, Tyrese Gibson and John Turturro doing a reprise of their roles. Megan Fox is not making an appearance in this movie, Transformers 3 would be the last installment in this series. The movie begins with a war on Cybertron between Autobots and Decepticons which the Autobots are losing. The Autobot leader launches an Ark that has technology that could save his kind. Unfortunately the Ark crashes on Earth's moon in 1961 leading to the NASA moon landing in 1969 to investigate the wrecked spacecraft. The Autobots are now engaged in a race with the Decepticons to find the Ark which contains their secrets. Transformers 3 is expected to generate the same kind of hysteria at the box office and provide the kind of entertainment it has been giving to its audiences worldwide – action, space adventure and loads of special effects. Coming from the Steven Spielberg stable it should again be a movie that will not disappoint despite being the third in the series. Delhi Belly, an A rated movie revolving around the lives of three bachelors, is produced by Aamir Khan Productions one of the most successful production houses in Hindi cinema. The movie is scheduled to release on July 1, 2011 and stars Imran Khan as Tashi, Vir Das as Arun, Kunal Roy Kapoor as Nitin, Poorna Jagannathan as Sunita, Shehnaz Tresurywala as Kavita and Vijay Raaz as Somyajulu. Directed by Abhinav Deo, the script of the movie has been written by Los Angeles based writer Akshat Verma. 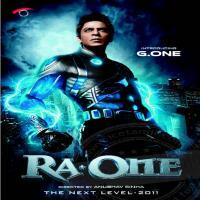 Music has been composed by Ram Sampath while lyrics are penned by Amitabh Bhattacharya. The song ‘Bhag DK Bose’ is already a hit. Delhi Belly promises to be an irreverent comedy and coming from the stable of Aamir Khan films, it should definitely have enough content to keep one satisfied at the very least. Story is that the script was lying in the Aamir Khan Productions office and Kiran Rao, Aamir’s wife picked it up and started laughing as she read it. Aamir read it as well and then called the writer over for a meeting. Despite its adult jokes, Aamir decided to go with it. Double Dhamaal - Will it be really Double Dhamaal? Double Dhamaal is a sequel to the hugely successful comedy Dhamaal (2007) with a plot that reminds one of the English film ‘It’s a mad, mad, mad world’ involving a treasure hunt. The original Dhamaal was a laugh riot about a treasure hunt, that was very well received by the public and started a series of comedy movies most of which unfortunately, did not match up to Dhamaal’s standards. Double Dhamaal is scheduled to release on June 24, 2011 with great expectations. The film stars the same cast - Arshad Warsi (Adi) and Javed Jaffrey (Manay) as brothers, Riteish Dehsmukh (Roy), Ashish Choudhary (Boman) and Sanjay Dutt (Inspector Kabir). While the original had no actresses, the sequel has some additional glamour quotient with Mallika Sherawat (Kamini) and Kangana Ranaut (Kiya). In Double Dhamaal, the four friends play the same roles while Sanjay Dutt plays the role of a millionaire. The film is about how the four friends blackmail Dutt to share his fortune. Directed by Indra Kumar, the story of the film has been written by Tushar Hiranandani, cinematography is by Aseem Bajaj and editing is by Sanjay Sankla. The soundtrack is by Anand Raaj Anand, with lyrics composed by Mayur Puri. Double Dhamaal, produced by Ashok Thackeria, should be a highly entertaining comedy going by the success of its prequel. Book your Double Dhamaal Movie tickets online here and prepare to have yet another laugh riot.